Granite countertops, quartz countertops, and solid wood kitchen cabinets present the backbone of any kitchen. High-quality, strong and durable kitchen countertops and kitchen cabinets make the kitchen a functional and practical space that will last for years to come. However, modern homes rely and depend more and more on kitchen design. This is why it is very important to find natural materials with beautiful finishes that will get you inspired and help you create a home you always wanted. Browse through our products and get more details so you can narrow down choices for your dream kitchen. Our Kitchen Cabinets NJ outlet is the perfect place to find wood kitchen cabinets at wholesale price. Our beautiful cabinetry features solid wood fronts that come in a huge assortment of designs, stains, and finishes. 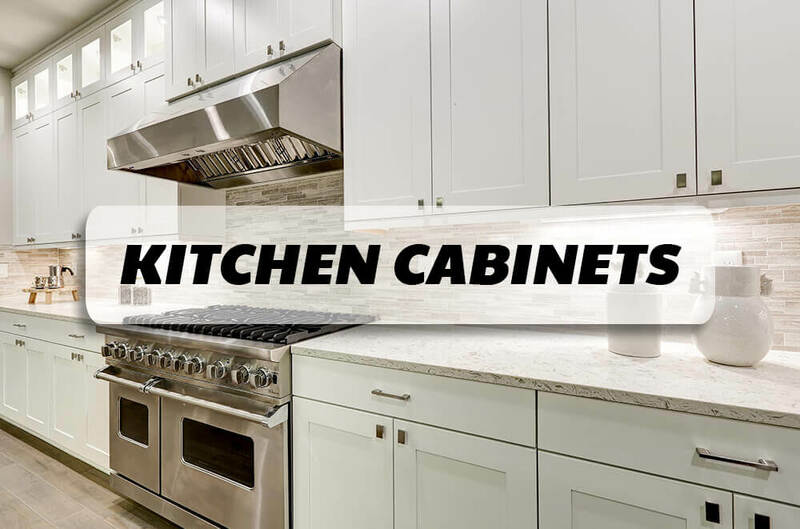 Whether you live in North Caldwell, Franklin Lakes, Clifton, or other surrounding communities in NJ, our kitchen cabinet showroom is conveniently located in Wayne NJ so you can stop by and choose between many discounted kitchen cabinet options: traditional and modern kitchen cabinets, cherry, white, and brown kitchen cabinets. When you come to our showroom, consult with our expert designers to easily find the right option for you. If you’re looking for low price, take a look at our kitchen cabinets promotions that start from $1,499.00. Address all the details and ensure that your project runs smoothly. See what kitchen cabinet style really calls to you, choose, and let our designers take your selection and blend it into a computerized mock-up of your kitchen to make visualization of the resulting makeover easy. To find the best kitchen cabinets at a low price in NJ, contact us today. 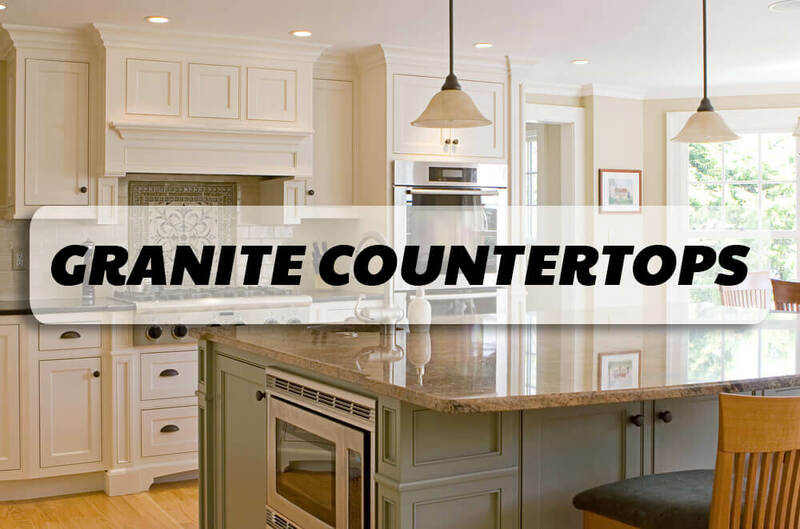 Design a warm, contemporary kitchen with our outstanding Granite Countertops NJ. Walk through our large granite slab yard in Wayne NJ and choose from a hundred of different granite countertop colors, textures, and patterns. Our designers will assist you if you need any help and show you some of the most popular granites in NJ like Giallo Ornamental Granite, Typhoon Bordeaux Granite, Black Granite Countertops, Aspen White Granite, and Giallo Fiorito Granite. Not only that you will find perfect granites for your NJ kitchen – you will be amazed by our prices, too. Nobody beats our granite countertop prices. We give you free fabrication, installation, edge treatment and free stainless steel sink, and you save over $675! After you’ve chosen the best granite, our team will collect the measurements, make the cuts, polish granite slabs you chose to a high gloss, deliver and install them. If you love natural stone, know that we have Super White Quartzite available in stock at our slab yard. Contact us today to create a timeless, unique, comfortable and inviting kitchen space you always dreamed of. Stunning, easy-care engineered quartz is the perfect choice for your NJ kitchen if you want consistency, durability, and a low environmental impact. Natural looking and full of character, quartz possesses the clean, minimalistic look that is more and more appreciated in NJ homes. Our Quartz Countertops NJ are flexible, easy to cut and install, and even easier to maintain. 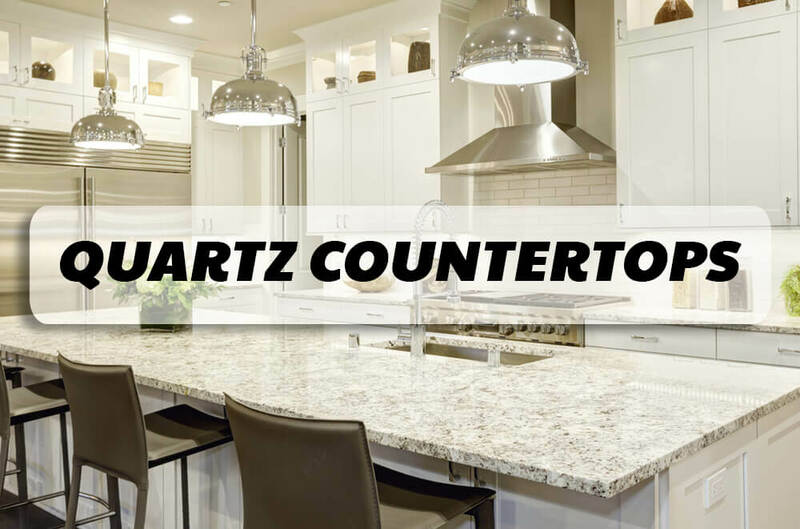 Quartz countertops deals in our quartz showroom start from $1,949 with 23 colors to choose from, so we invite you to stop by our Quartz NJ Showroom and choose the color, edge profile, and other options for your kitchen. Our designers will answer all the questions you may have and recommend you some of the most popular quartz countertops like Cashmere Carrara Quartz for all marble look lovers, Concrete Quartz for all who prefer industrial design, Dreamy Marfil Quartz for those who thrive in warm, soft looking spaces, and Bianco Drift Quartz by Caesarstone for all who love granite inspired quartz. Get guaranteed quality quartz that will last you a lifetime and a respectful, reliable service – contact us today.